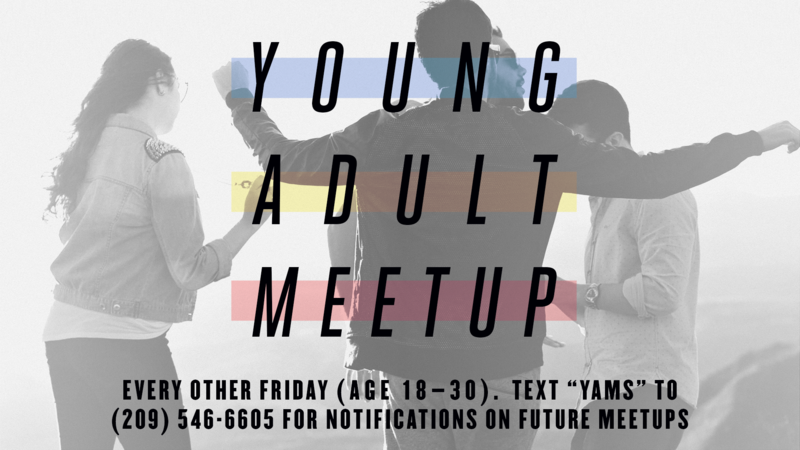 Young Adult Meet-Ups (affectionately referred to as YAMS) is a place where 18-30 year olds can connect with one another, hang out, enjoy good conversation and grow deeper in God's word. We currently meet every other Friday at 6:30pm in the Red Room. Activities vary from Bible Studies to bowling, but there is always fun involved. We hope you'll check it out for yourself. Hope to see you soon! Click here to sign-up for text alerts.